Kareem Hunt shown warming up before a November game. 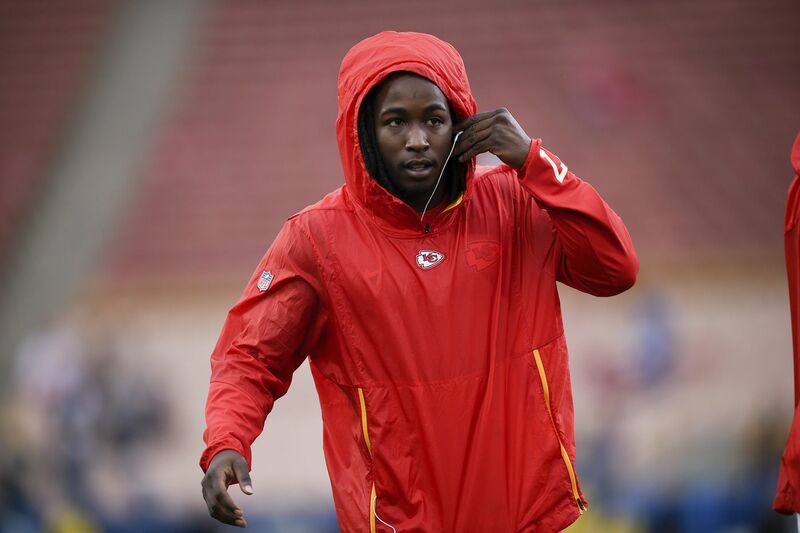 Two months after Kansas City released Kareem Hunt, the Cleveland Browns have picked him up. Hunt was the Chiefs’ starting running back when a video showing him kicking a woman was released by TMZ in November. He was placed on the NFL’s commissioner’s exempt list -- a move that drew public support -- and the Chiefs cut him the same day. The video showed a physical altercation between Hunt and a woman during an argument in a hotel lobby. Browns general manager John Dorsey drafted Hunt, 23, while working for Kansas City. “My relationship and interaction with Kareem since 2016 in college was an important part of this decision making process,” Dorsey said, “but we then did extensive due diligence with many individuals, including clinical professionals, to have a better understanding of the person he is today and whether it was prudent to sign him. Hunt is an Ohio native who played at Toledo before being drafted by the Chiefs in 2017. Under ex-Eagles coach Andy Reid, Hunt led the NFL in rushing yards during his rookie season. He could still be suspended by the league under its personal conduct policy for the incident and two others that surfaced after he was released. An NFL investigation is ongoing. Hunt made a statement through the Browns, apologizing again for his actions.